There was a lot of racing this weekend. Before I analyse results from the Asia-Pacific Ironman Championship in Cairns I’m going to look at a race closer to home – Ironman Staffordshire 70.3. There are just too many 70.3 races for me to regularly examine there results, but I’ll make an exception for one based in the UK, especially when I have a number of athletes racing there. 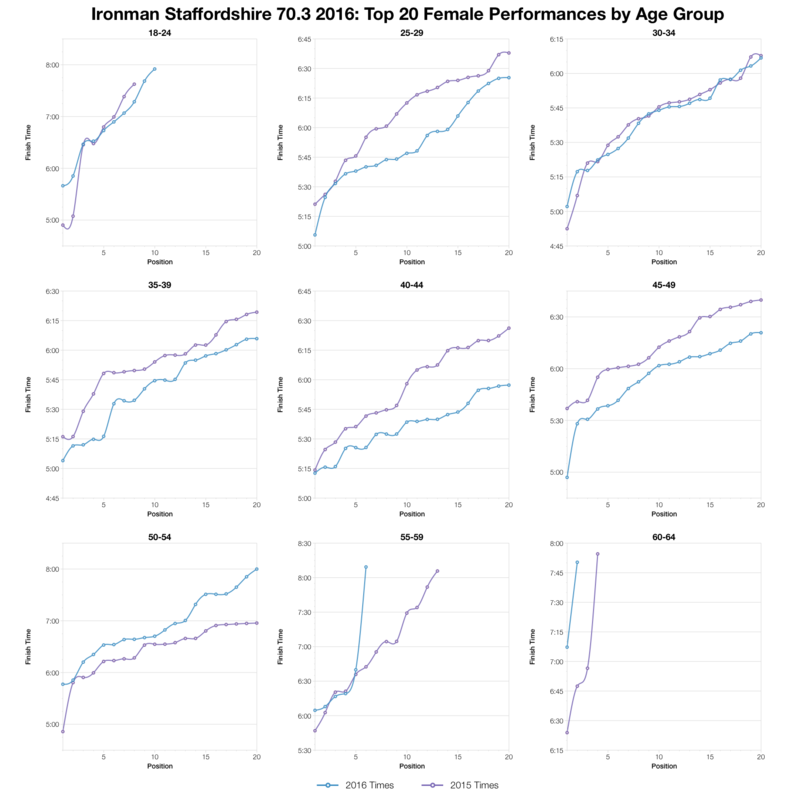 This is only the second year of racing in Staffordshire, so – as I did last year – I’ve included some data from Wimbleball for comparison. 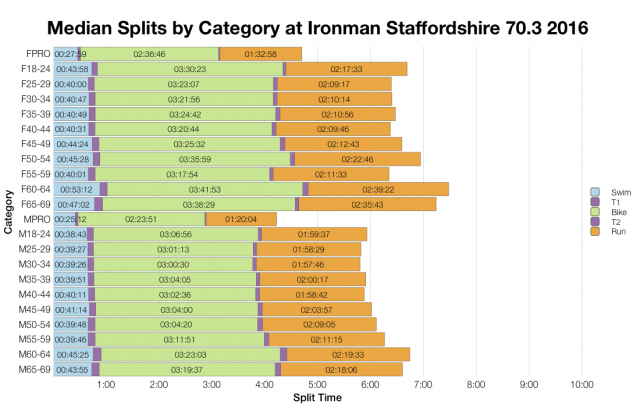 I don’t have data on 70.3 World Championship qualification, it’s something I’m considering working on in the future. For now I’m just going to look at how results in Staffordshire compare with 2015 and the longer standing Wimbleball. This year’s race results are quite similar to the last. There is some change around the middle of the race, with a stronger skew on bike and run giving faster median times. 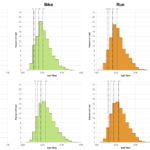 The front of the race, the top 5% don’t really show much variation on 2015, perhaps slightly faster on the bike. So broadly, the two years of the race are quite similar. 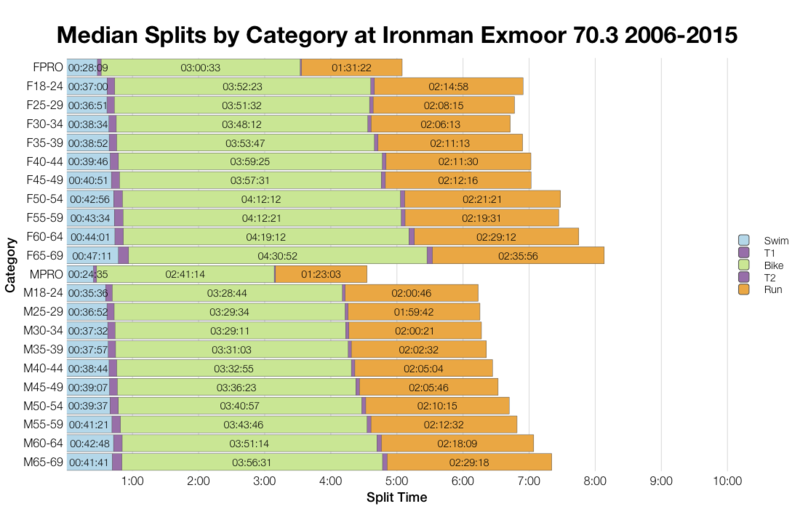 For comparison, Wimbleball is a slower race as a result of its significantly slower bike course. There was a jump in the DNF/DNS rate for this year’s race, but as this mostly came from swim timing data I suspect this is mainly the result of increased DNS rates at the race. Bike and run DNF rates remain the same or lower suggesting conditions were comparable and pointing towards the shift lying with DNS. Comparing medians also shows two very similar years of racing at Staffordshire. 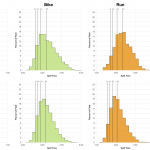 Bike medians do appear faster at this year’s race, but changes aren’t particularly significant. Again, comparison with Wimbleball data shows how much slower the bike course is there. 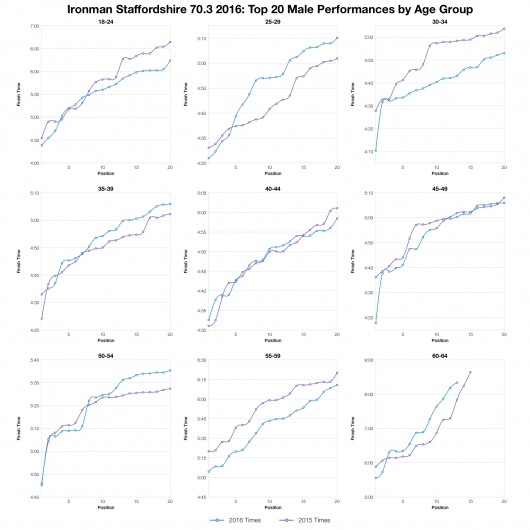 Comparing times for the top twenty in different age groups and there’s no consistent pattern. 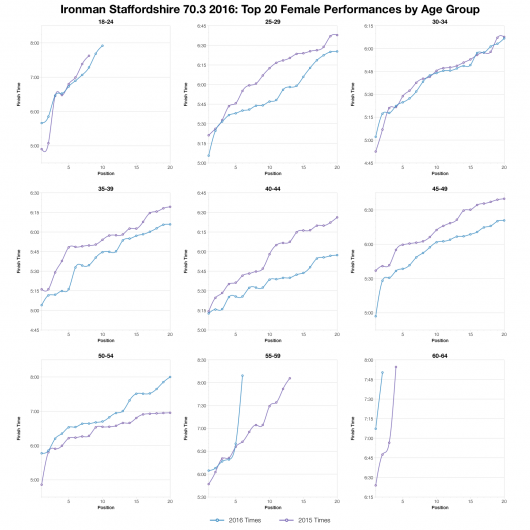 Some age groups came out faster and some slower suggesting no significant differences between the two years of racing. If there’s any exception it’s in the women field where the 35-50 age groups all saw improved times in the top twenty. So, to wrap up this brief look through the results from Staffordshire, it looks to have been a very similar year to 2015. 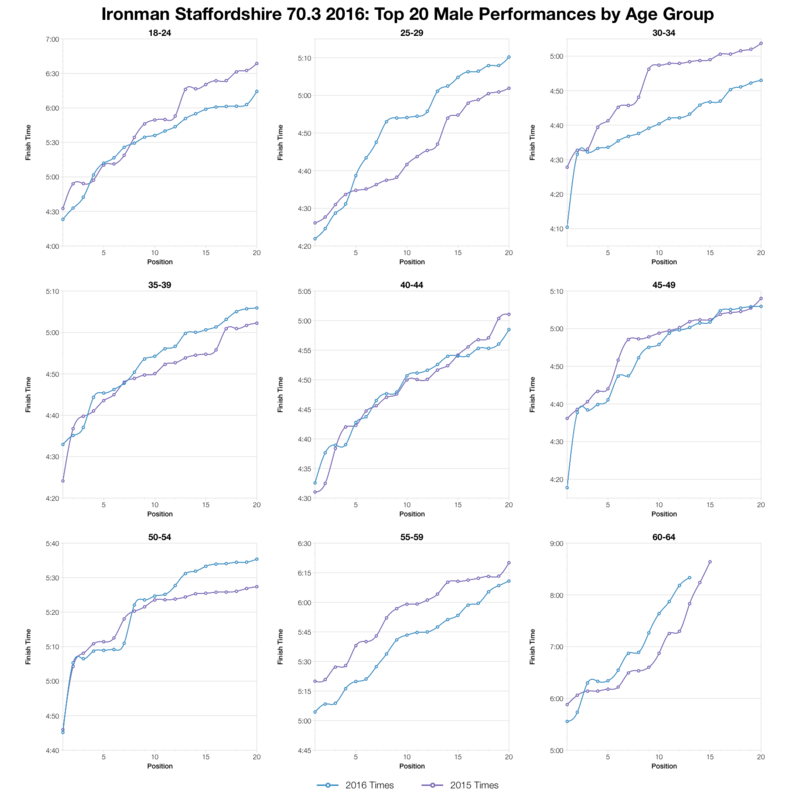 You can access a spreadsheet of the full results and splits from Ironman Staffordshire 70.3 2016 on my Google Drive.